Every now and then in life we get an ‘ah ha’ moment. For us as a company this moment came earlier this year on a work trip that took us via Cambodia. It was here that we saw what a difference supporting a charity can make to ordinary people’s lives and the ongoing benefits of that. 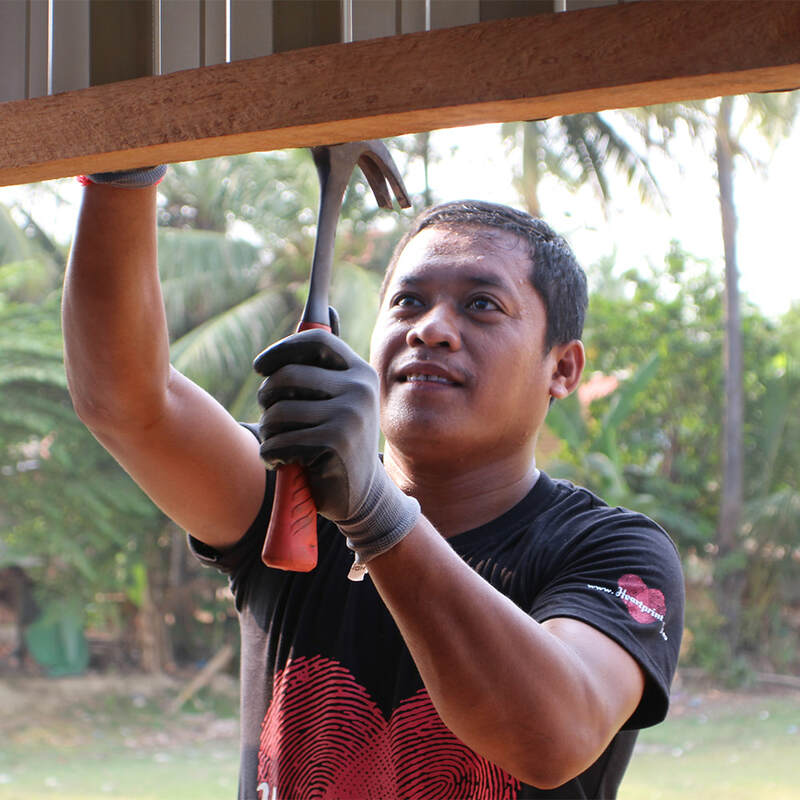 So Montage decided to put our financial support behind an Australian charity called Heartprint who is making a big difference in the lives of some the most impoverished Cambodians. Heartprint offer ongoing support in the relief of poverty through obtaining education opportunities, the breaking of child abandonment practices, providing housing through building projects, and work opportunities that give these Cambodians hope, dignity and the opportunity for a brighter future. Our choice of project was the "building project" where a house is built for families in need. Many families are barely surviving on a day-to-day basis and simply don’t have the funds to build a house. These families are living in make shift houses that provide very little shelter, leak during rains and are unsafe for their children. Most people just need a little hand up in life and thrive knowing that people actually care about them. Building a house for a family can give them a sense of pride as well as a good nights’ sleep reducing illness and injury. Heartprint build stilted houses in areas in and around Siem Reap. 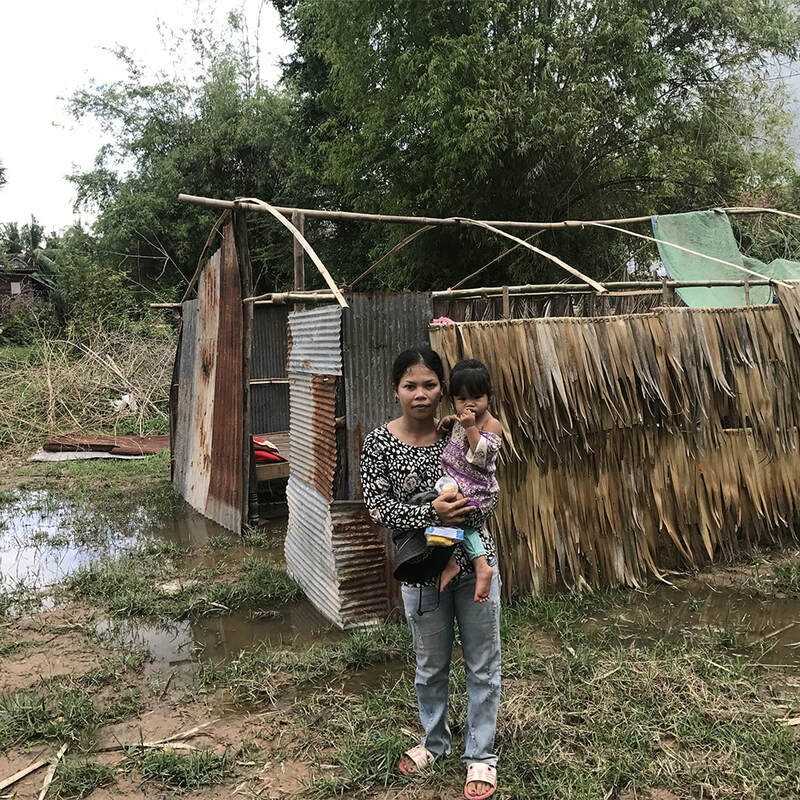 Due to the availability and cost of timber in Cambodia, their houses are constructed from concrete stumps, with wooden frames and tin surrounds. Houses have lock up windows and doors to ensure the safety of the family and their possessions. Families who Heartprint build for are generally in extreme need, destitute and include widows/widowers with children, people with life threatening illnesses or on a wage that makes them unable to provide for their family. Heartprint access the poorest families with the help of referrals; as well as meeting and profiling them, they speak with the Chiefs of the villages to make sure they are helping those that need it most. Montage Commercial Interiors are very proud to be involved with Heartprint and look forward to many years to come, and many homes to be built. If you would like to see more on what Heartprint do, please check out their website, make a donation, or sign up to their volunteer program. Check out more of their awesome work here.